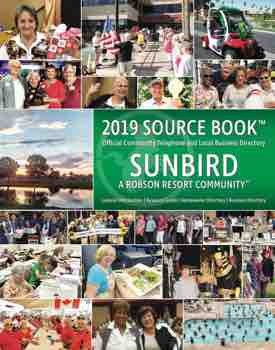 Are you a snowbird homeowner in SunBird? If so, congratulations. You’re very fortunate to own property in this beautiful community! As our snowbird season winds down, thoughts of contacting a reliable home caretaker must be in the forefront of your mind. Property caretakers provide important upkeep for your investment. Mostly, they should provide routine weed and landscaping cleanups and other maintenance tasks. They should make rounds of the property on a regular basis and be on call for emergencies or other problems. They should be the eyes and ears of your property to alert you when problems arise. They also need to ensure that there are no trespassers on the property. Another important reminder – please remember to contact the HOA Administrative Office at 480-802-4901 to let them know who is taking care of your property. This will help if any problems arise in your absence. Permits – SunBird is known for its pristine appearance. Please note that if you are doing anything to the outside of your property, it will need a permit. If you have any questions, please contact Bonnie Marcus at 480-802-4901 at the HOA Administrative Office.